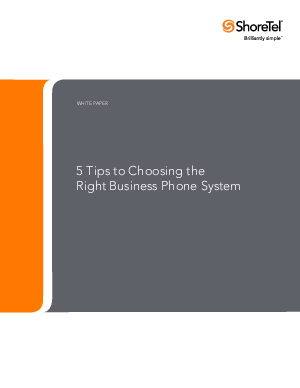 Organizations large and small have a wide array of phone systems to choose from, and business-decision makers need to consider numerous factors when selecting the phone system that is the right fit for their company. ShoreTel's custom solutions eliminate the many barriers that other providers still have in place. This means that businesses can consult ShoreTel for a wide variety of reasons, including to simply replace its legacy phone system, help develop a new office site or branch, upgrade unified communications solutions or modernize its contact center by pursuing a multi-channel solution.